Waters Corporation has introduced the Bio Accord System. This purposefully designed liquid chromatography-mass spectrometry (LC-MS) solution is to expand access to high-resolution time-of-flight mass spectrometry capabilities to more scientists. Milford/USA — With this new system, the company promises to move routine monitoring out of centralized MS labs and into the hands of more scientists by enabling more effective analysis of biotherapeutic protein attributes across development and within quality control organizations. 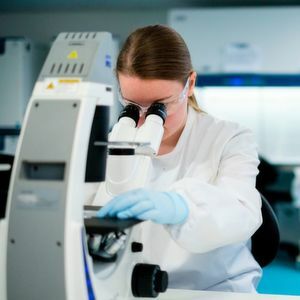 As the monitoring requirements for biotherapeutics are growing exponentially, the inherent complexity of these therapies, combined with rising regulatory standards, are driving more intensive and widespread testing requirements, explains Chris O'Connell, Chairman and CEO, Waters Corporation. Waters designed the new system as a fit-for-purpose LC-MS biopharmaceutical solution to deliver rich mass spectrometry data for improved productivity and effective decision-making. 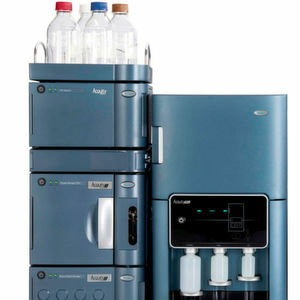 The Bio Accord System pairs Acquity UPLC I-Class Plus with the newly-developed Acquity RDa Detector featuring Smart MS. This system offers automated setup and self diagnosis through an intuitive user interface, all within a small footprint. Powered by Unifi, the compliance-ready LC-MS informatics platform, the Bio Accord System has been optimized for intact protein, released glycan, and peptide monitoring applications, and streamlined by the use of Waters' application-specific chemistries and consumables kits.